This is a renewed version of the original. Kids of all ages can play this game as the cards contain images as well as written words. The first player to arrive in the finished space is the winner. The two difficulty levels make the game fun for everyone. Kids love to draw on the whiteboard drawing pad. Take turns drawing the words on the whiteboard and guess what is being drawn. 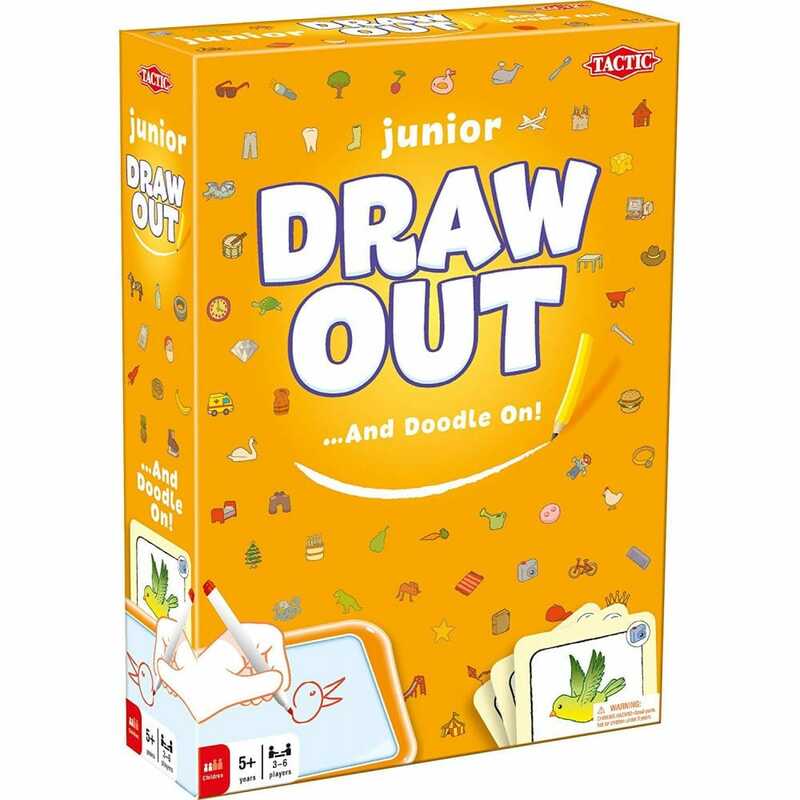 The game contains 600 words to draw, so there is plenty of challenge for more experienced drawers as well as easier, illustrated options for young players. I bought this for my granddaughter who was very pleased to receive it. I think it will be played with lots. The whole family enjoy board games. I was going to get Junior Pictionary but I think that this is just as good at half the price.